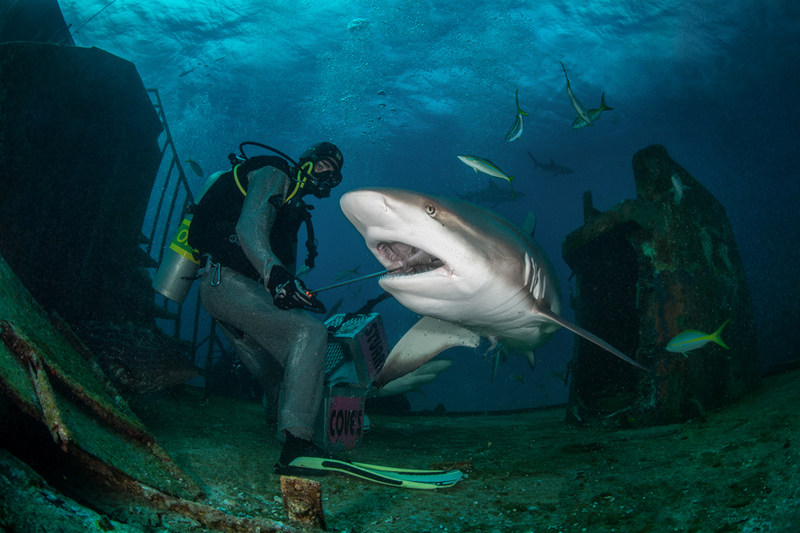 NASSAU // BAHAMAS // FEBRUARY 10, 2016. 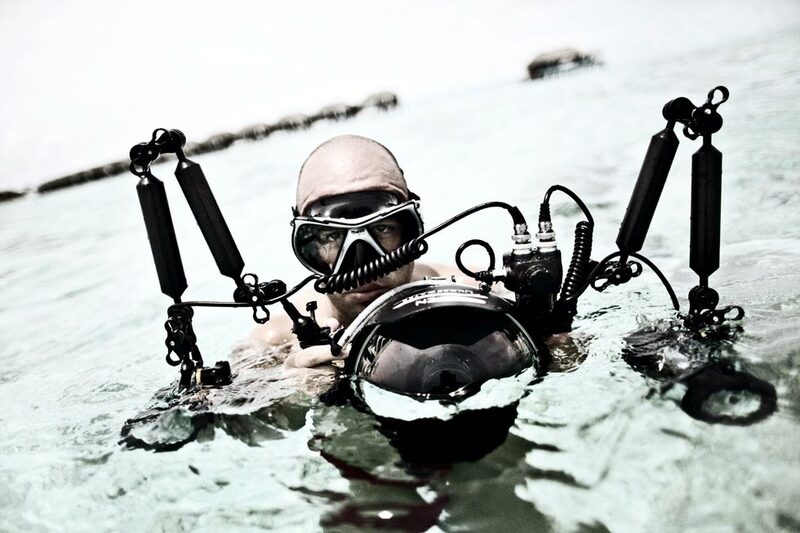 A diver seen in the Caribbean sea during the shark feeding in Nassau, Bahamas on February 10, 2016. 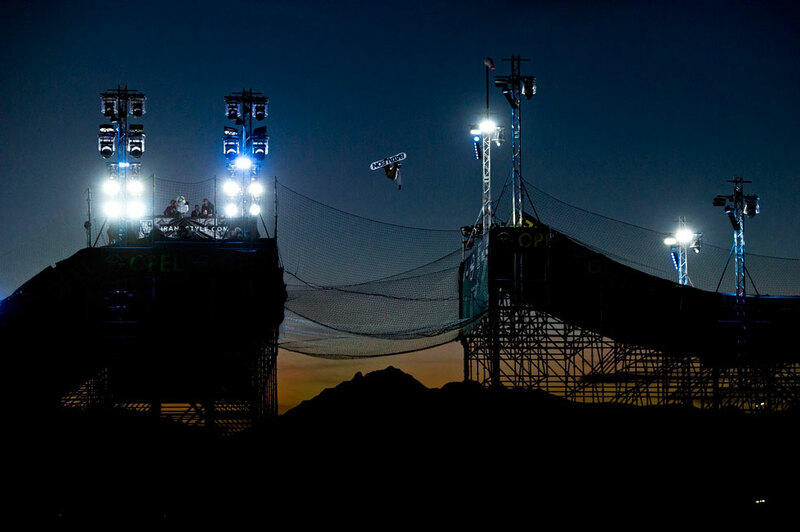 Tor Lundstrom of Sweden performs at the Air and Style Big Air contest at the Olympiaworld in Innsbruck, Austria on February 6, 2016. 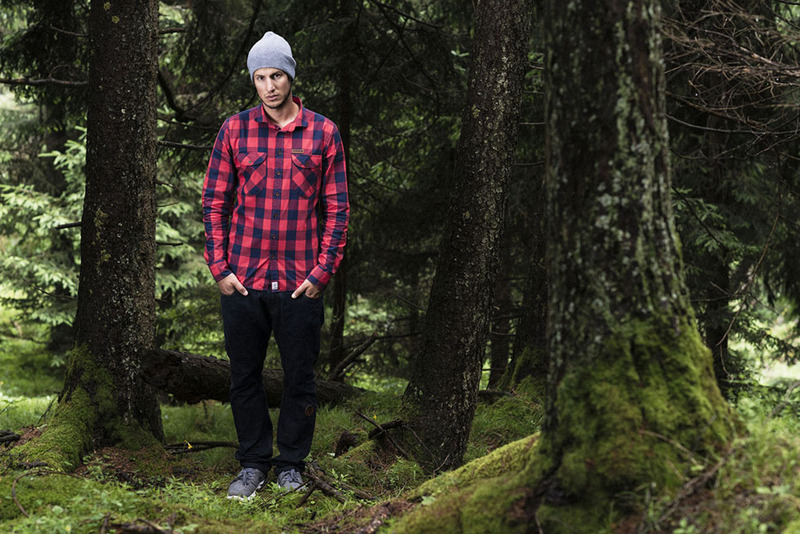 The longest and most difficult Ice Cross Downhill track ever tripped up American Cameron Naasz in Finland and threw the world championship in a tense two-way battle. 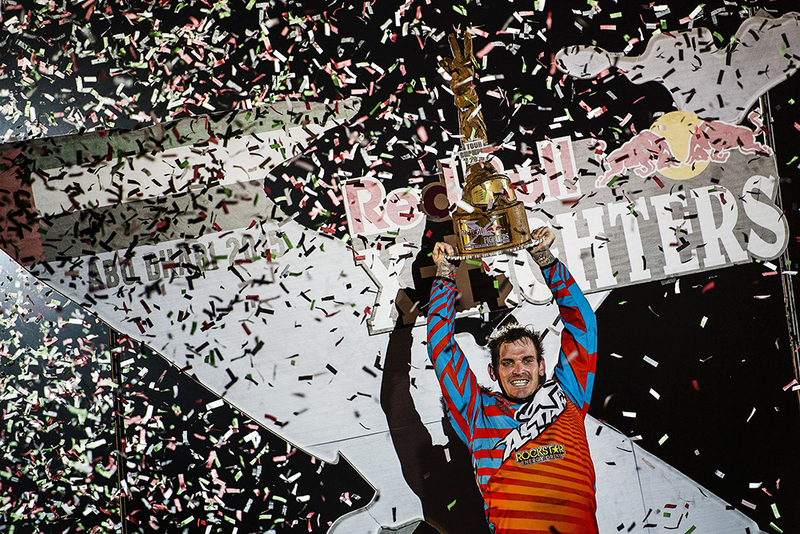 Defending champion Scott Croxall scored a gutsy victory on a night full of emotions. 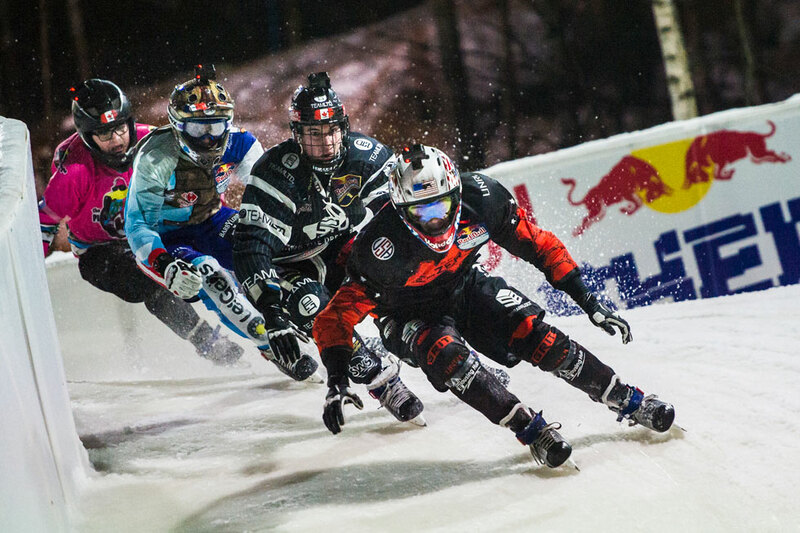 Cameron Naasz of the United States, Fabian Mels of Germany, Pacome Schmitt of France and Jim De Paoli of Switzerland compete during the second stage of the Ice Cross Downhill World Championship at the Red Bull Crashed Ice in Munich, Germany on January 9, 2016. 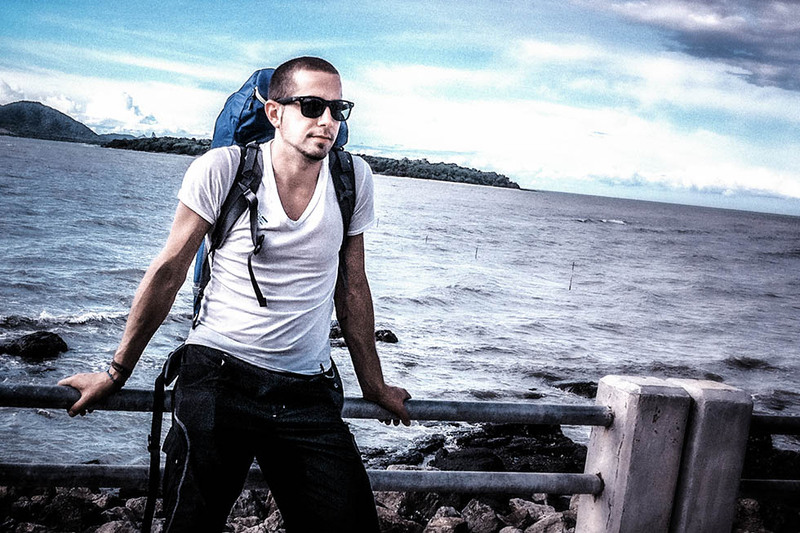 QUEBEC CITY // CANADA // NOVEMBER 28, 2015. 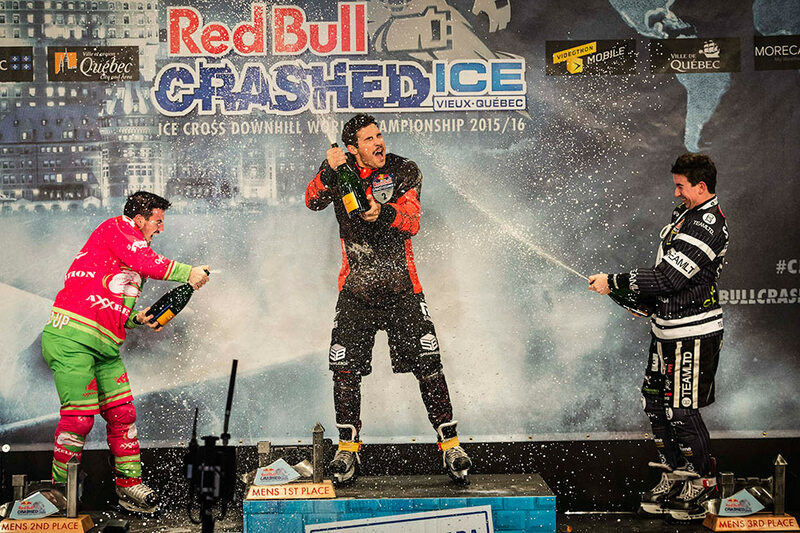 Cameron Naasz of the United States (C) celebrates with Scott Croxall of Canada (R) and Dean Moriarity of Canada (L) during the Award Ceremony of the first stage of the Ice Cross Downhill World Championship at the Red Bull Crashed Ice in Quebec City, Canada on November 28, 2015. 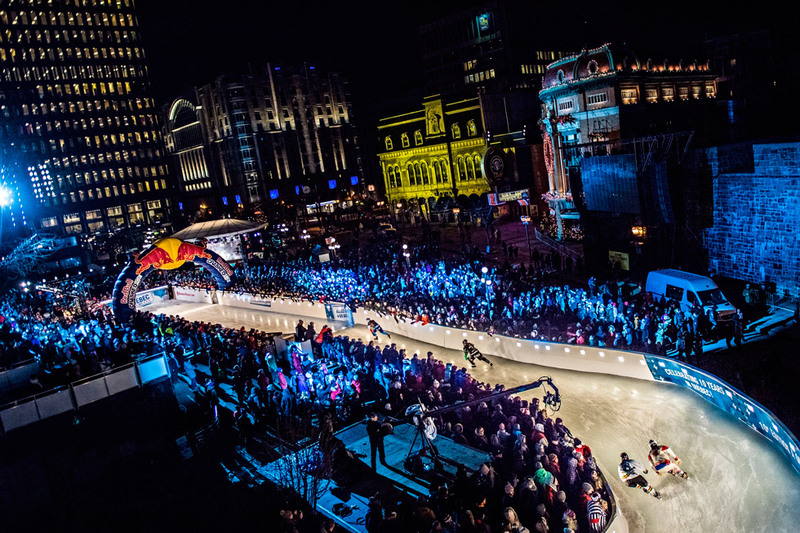 Finish area of the first leg of the Ice Cross Downhill World Championship in Quebec City, Canada on November 29, 2015. 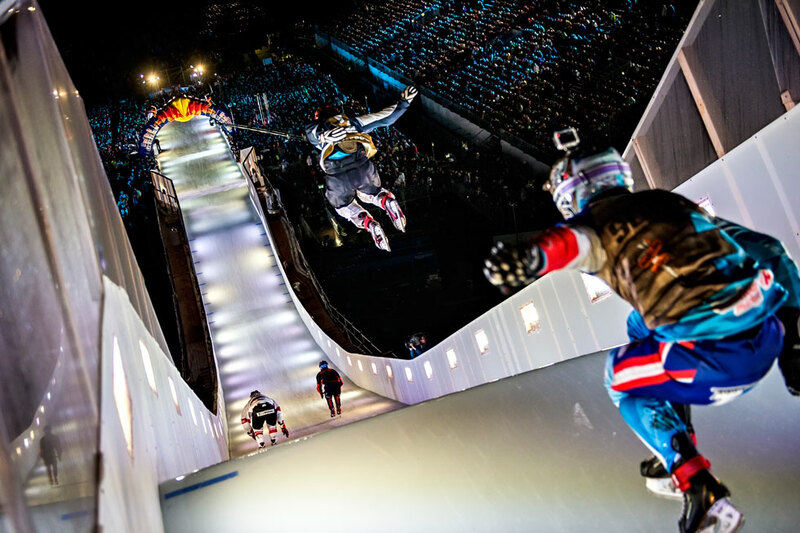 Marco Dallago of Austria, Jere Lehto of Finland, Miikka Jouhkimainen of Finland and Dylan Moriarity of Canada compete during the first stage of the Ice Cross Downhill World Championship at the Red Bull Crashed Ice in Quebec City, Canada on November 28, 2015. 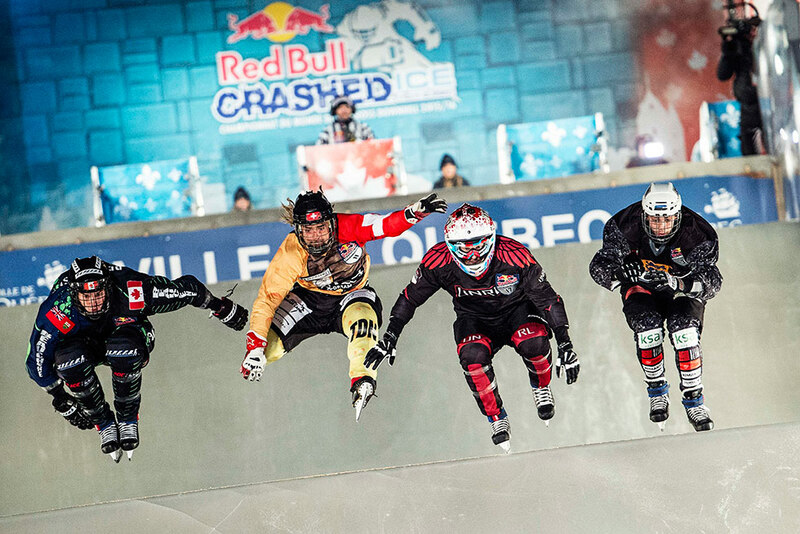 Daniel Bergeson of the United States, Derek Wedge of Switzerland, Marcel Beauchesne of Canada and Mark Taru of Estonia compete during the first stage of the Ice Cross Downhill World Championship at the Red Bull Crashed Ice in Quebec City, Canada on November 28, 2015. 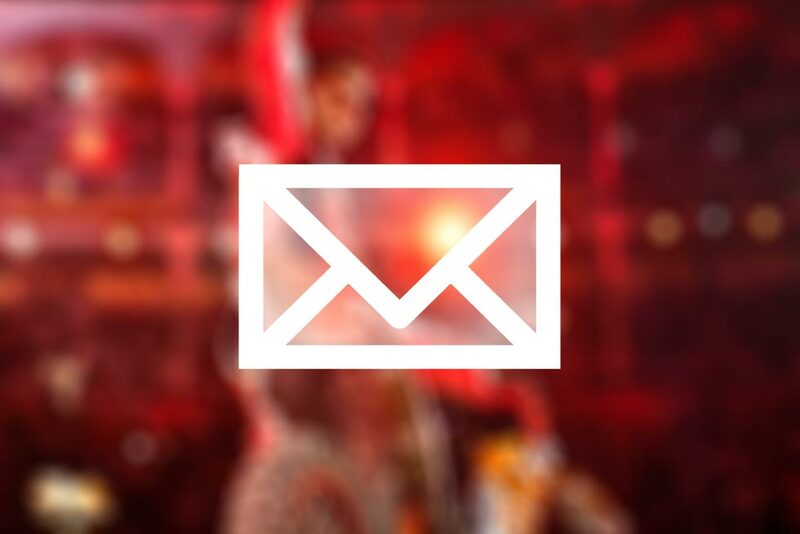 QUEBEC CITY // CANADA // NOVEMBER 27, 2015. 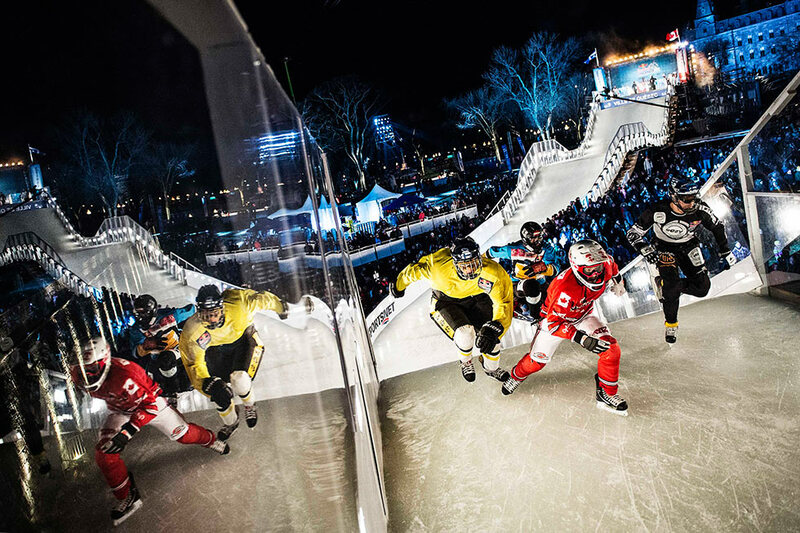 Team Living The Dream competes against Team Alpine Rockets during the Team competition of the first stage of the Ice Cross Downhill World Championship at the Red Bull Crashed Ice in Quebec City, Canada on November 27, 2015. 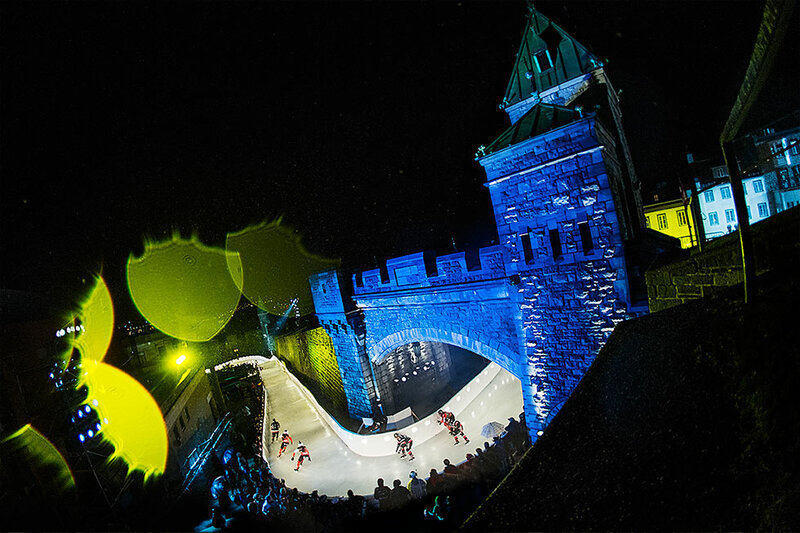 QUEBEC CITY // CANADA // NOVEMBER 26, 2015. 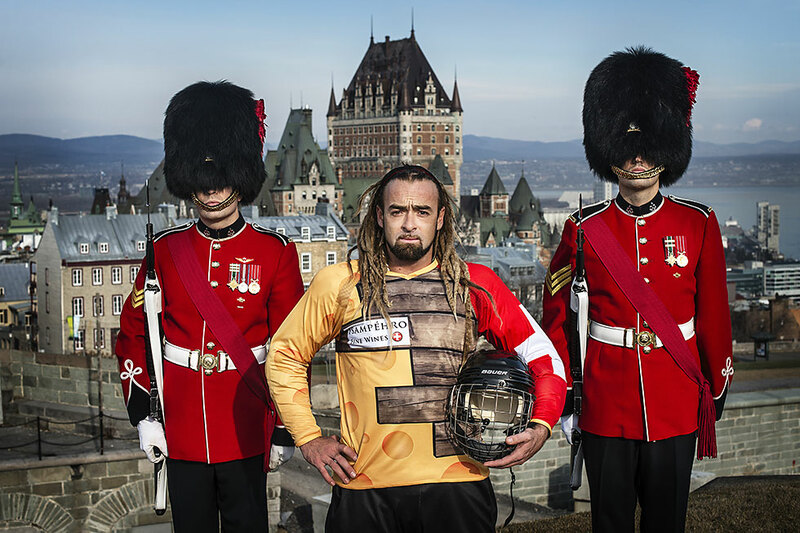 Former world champion Derek Wedge of Switzerland poses for a photograph with the Royal 22e Regiment guards in front of the iconic Chateau Frontenac ahead of the first Red Bull Crashed Ice race in Quebec City on November 26, 2015. 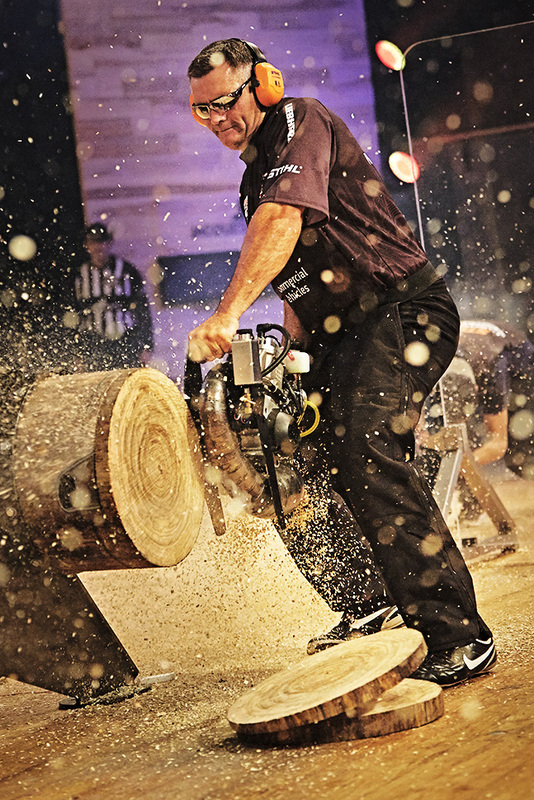 New World Champion Jason Wynyard of New Zealand performs at the single competition at the STIHL TIMBERSPORTS® World Championship in Poznan, Poland on November 14, 2015. 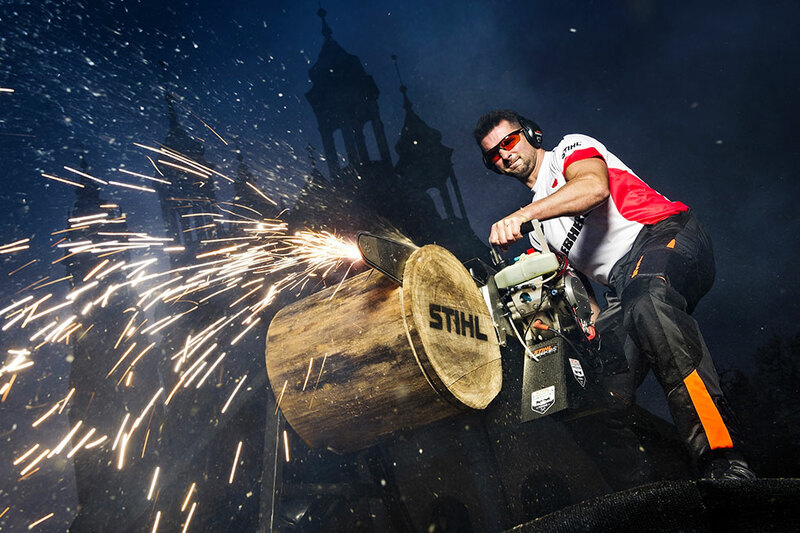 Arkadiusz Drozdek of Poland performs with his Hot Saw, a powerful 80 HP chain saw, in front of the Archcathedral Basilica of Saint Peter and Saint Paul prior to the Stihl Timbersports World Championships in Poznan, Poland on November 11, 2015. 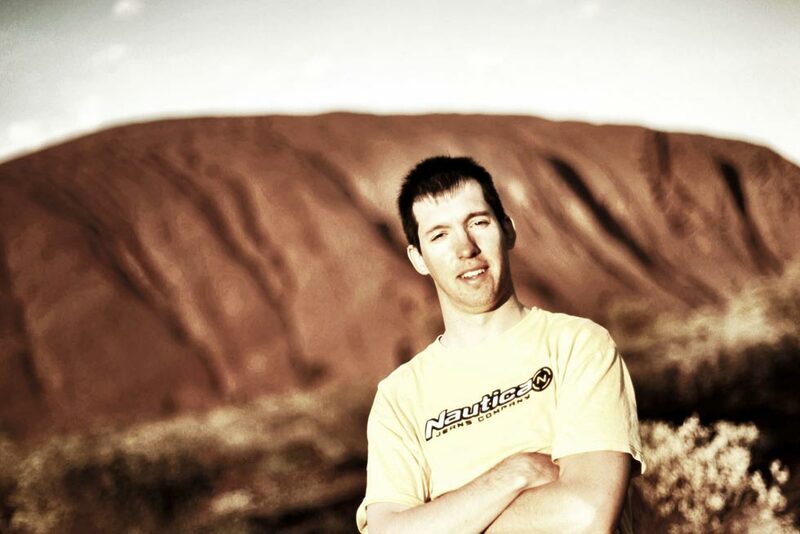 Clinton Moore of Australia celebrates during the finals of the last stage of the Red Bull X-Fighters World Tour in Abu Dhabi, United Arab Emirates on October 30, 2015. 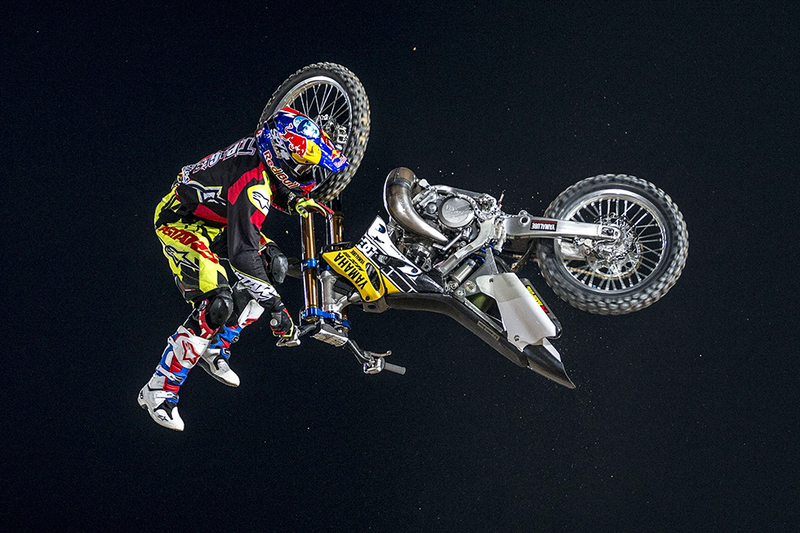 Tom Pages of France performs during the finals at the final stage of the Red Bull X-Fighters World Tour in Abu Dhabi, United Arab Emirates on October 30, 2015. 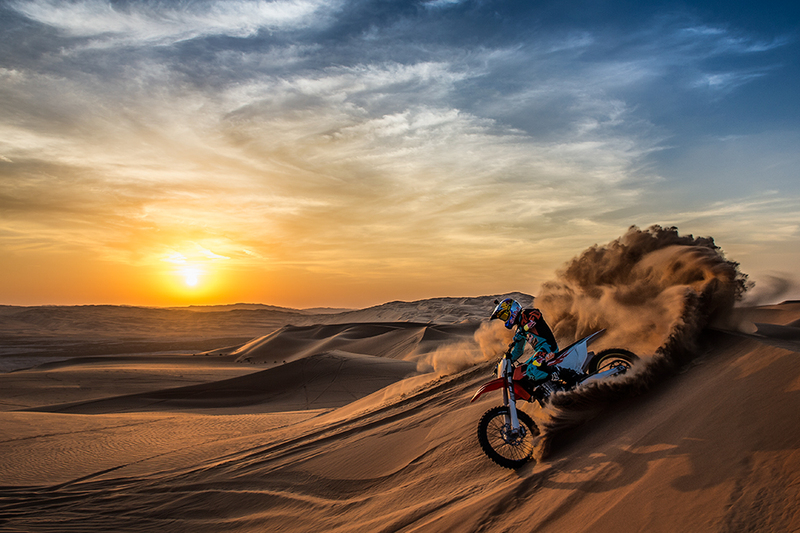 Ronnie Renner of the United States performs during a high-speed freeriding session in the Rub Al Khali desert ahead of the Red Bull X-Fighters World Tour in Abu Dhabi on October 25, 2015. 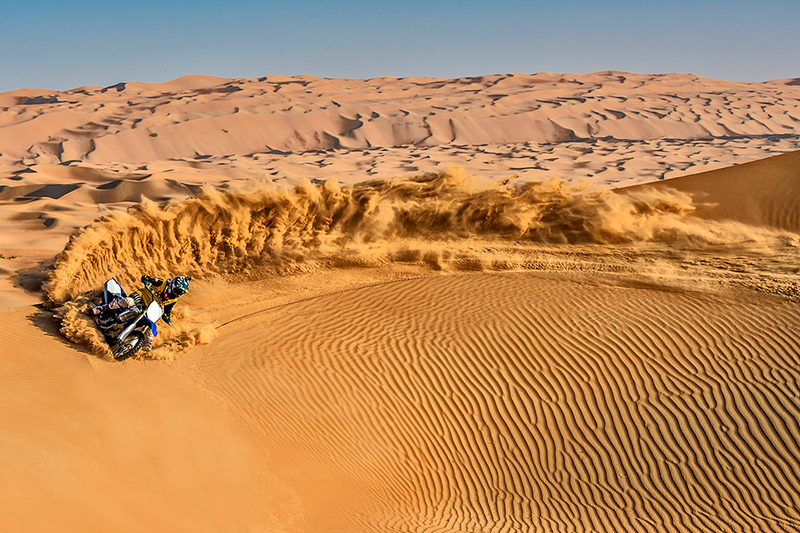 Fmx legend Drake McElroy of the United States seen during a high-speed freeriding session in the Rub Al Khali desert ahead of the Red Bull X-Fighters World Tour in Abu Dhabi on October 25, 2015. 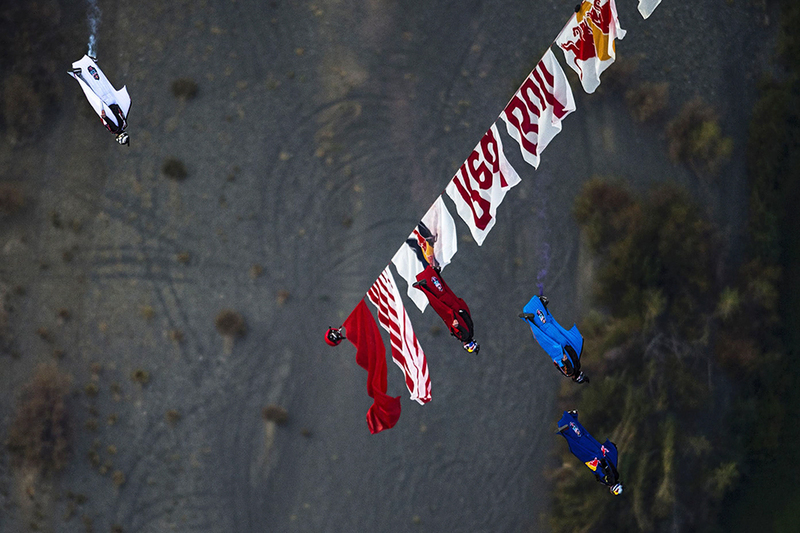 Wingsuit competitors pass a gate hanging from a helicopter during the Red Bull Aces, the world’s first-ever wingsuit four-cross competition which was introduced in 2014 and returns in a new Northern California location this year in Cloverdale, USA on October 22, 2015. 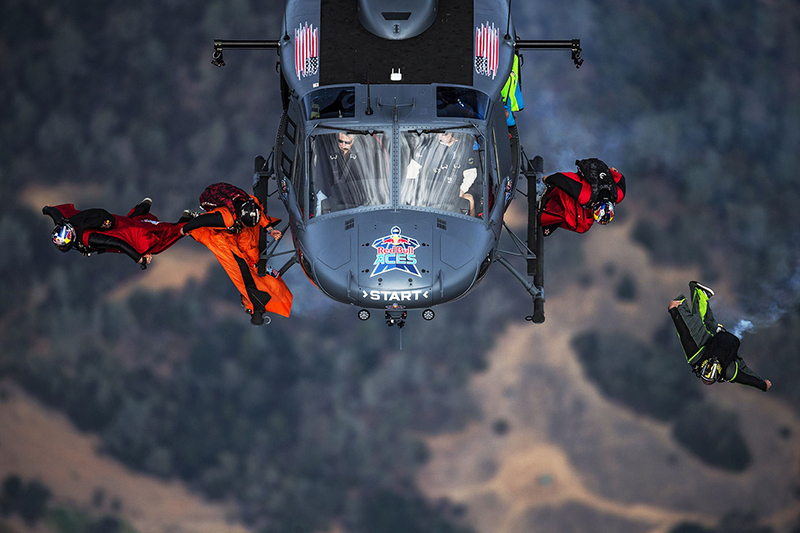 The world’s first-ever wingsuit four-cross competition, as well as the first with air gates, Red Bull Aces was introduced in 2014 and returns in a new Northern California location this year with all the excitement of the pioneering 160-mph (260-kmh) race, plus improved technology besides. 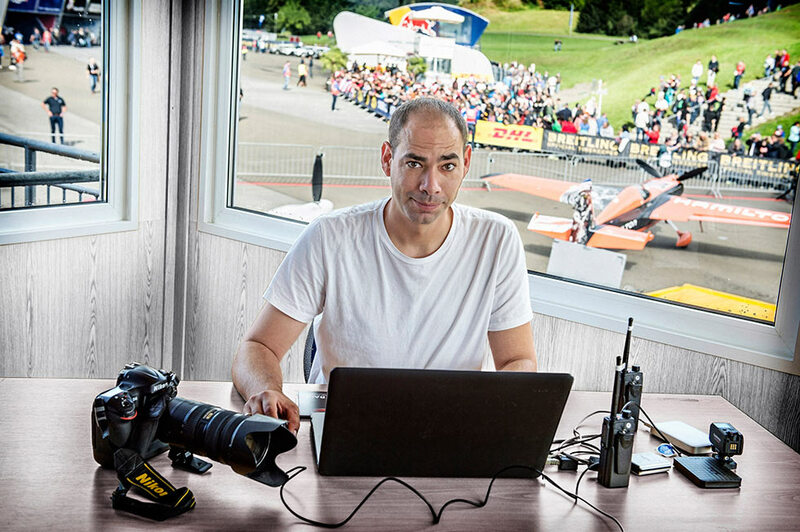 The goal of the contest – where athletes jump four at a time from a civilian helicopter to fly simultaneously through an aerial slalom course of five 112-foot/34-meter gates – is to find the world’s best all-around wingsuit pilot. 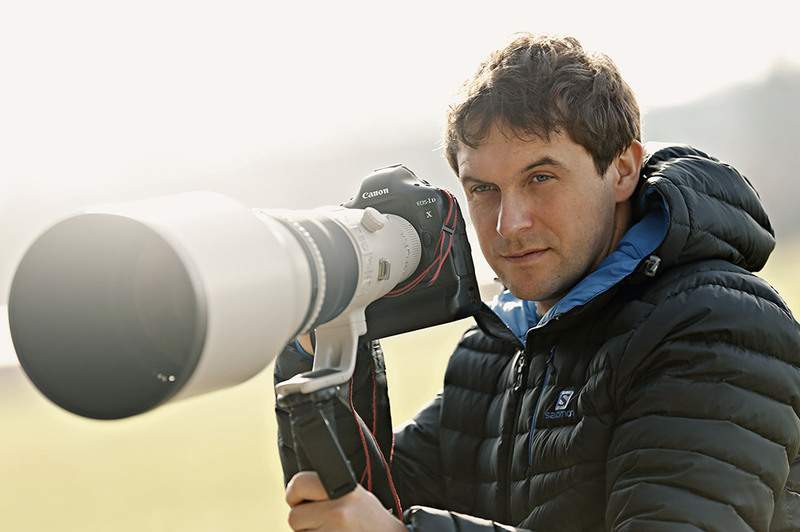 California, USA on October 22, 2015. LAS VEGAS // USA // OCTOBER 18, 2015. 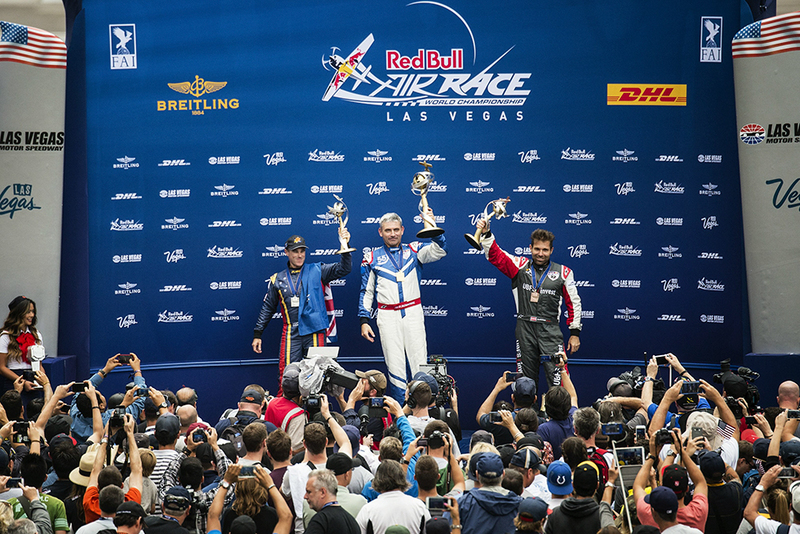 Matt Hall of Australia (L), Paul Bonhomme of Great Britain (C) and Hannes Arch of Austria (R) celebrate during the Award Ceremony of the Red Bull Air Race World Championship at the Las Vegas Motor Speedway in Las Vegas, Nevada, United States on October 18, 2015. 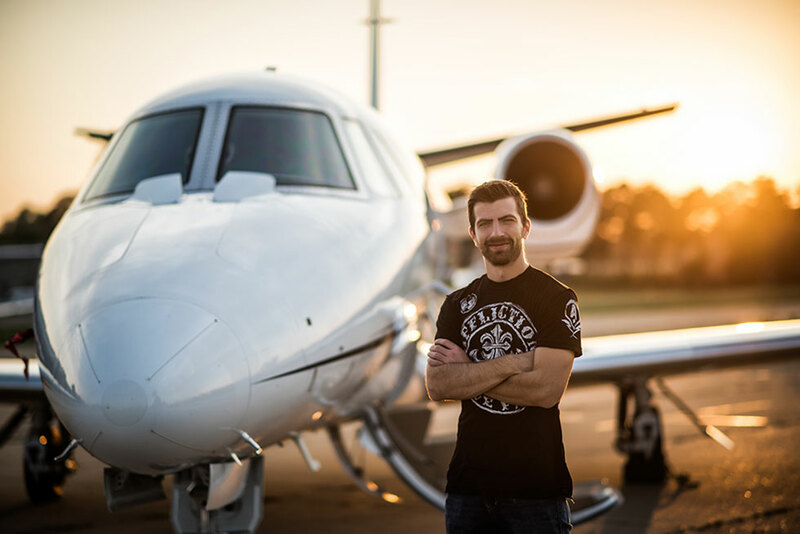 LAS VEGAS // USA // OCTOBER 17, 2015. 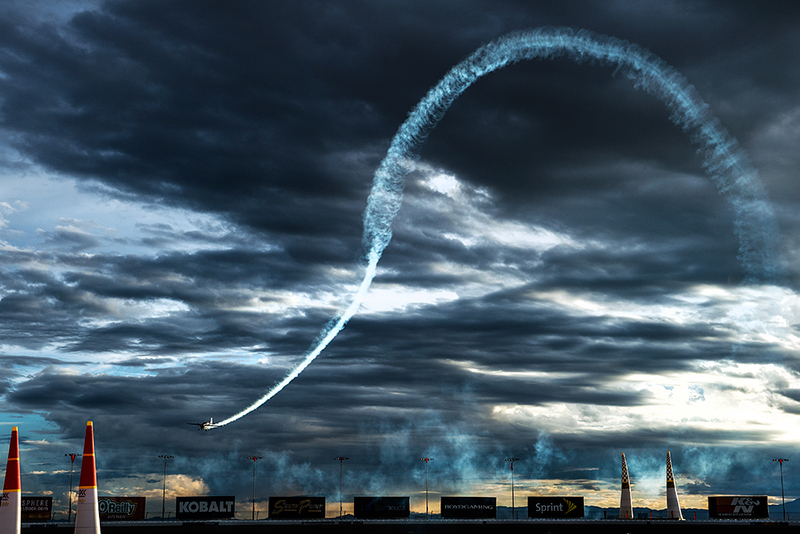 Pete McLeod of Canada performs during qualifying day of the eighth stage of the Red Bull Air Race World Championship at the Las Vegas Motor Speedway in Las Vegas, Nevada, United States on October 17, 2015. 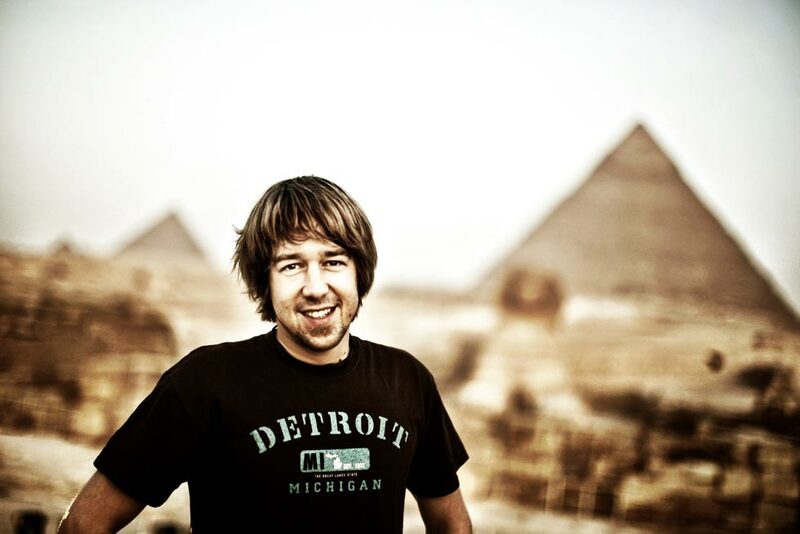 LAS VEGAS // USA // OCTOBER 16, 2015. 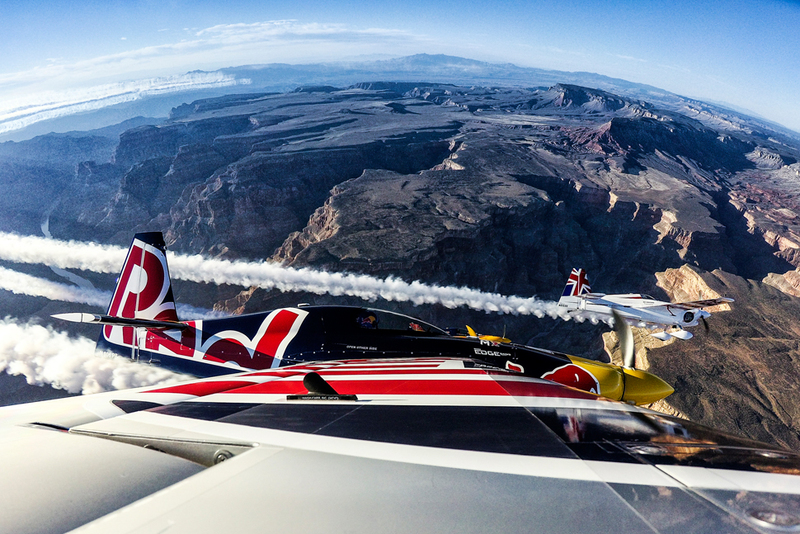 Hannes Arch of Austria performs during the training of the eighth stage of the Red Bull Air Race World Championship at the Las Vegas Motor Speedway in Las Vegas, Nevada, United States on October 16, 2015. 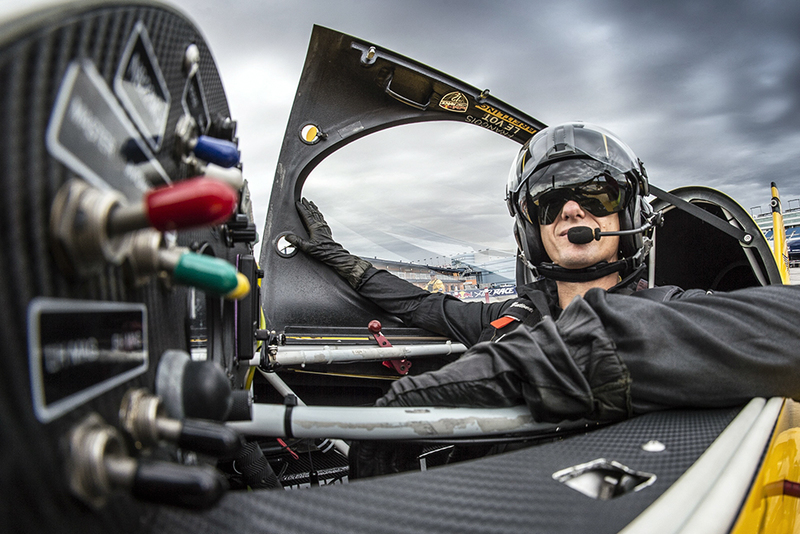 Francois Le Vot of France waits for his flight during the training of the eighth stage of the Red Bull Air Race World Championship at the Las Vegas Motor Speedway in Las Vegas, Nevada, United States on October 16, 2015. 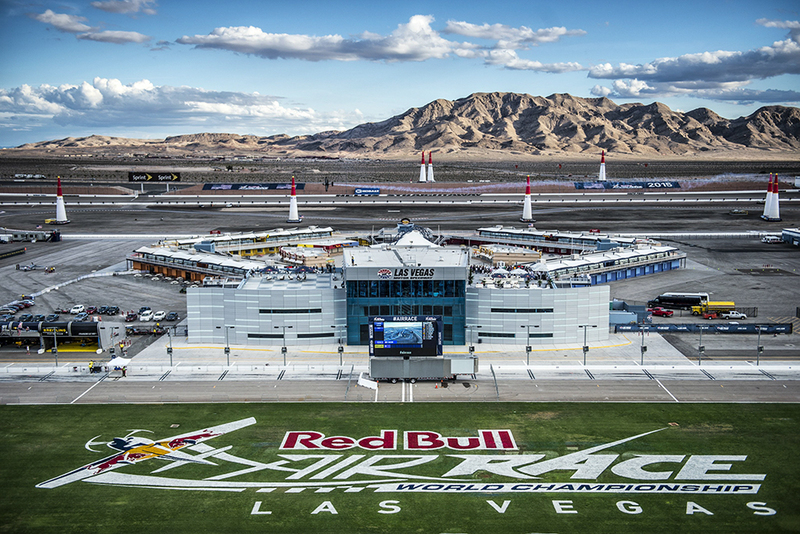 LAS VEGAS // USA // OCTOBER 14, 2015. 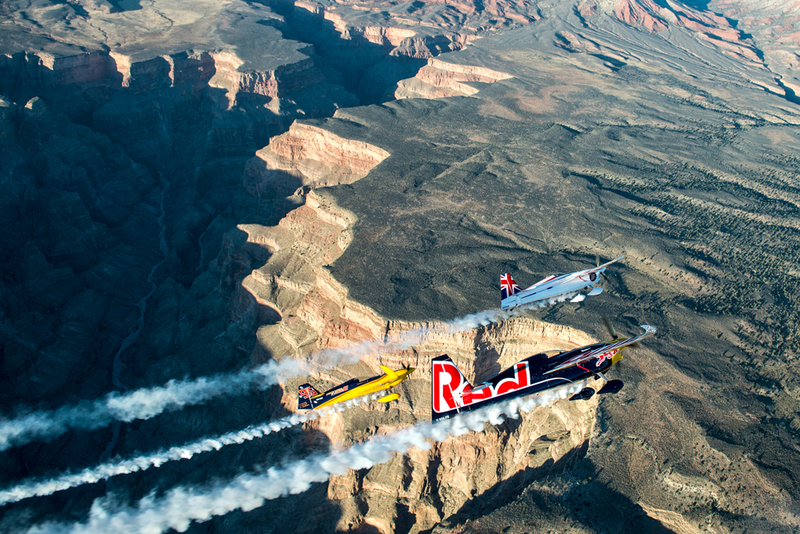 Paul Bonhomme of Great Britain, Peter Besenyei of Hungary and Matt Hall of Australia fly over the Grand Canyon prior to the eight and final stage of the Red Bull Air Race World Championship in Arizona, United States on October 14, 2015. 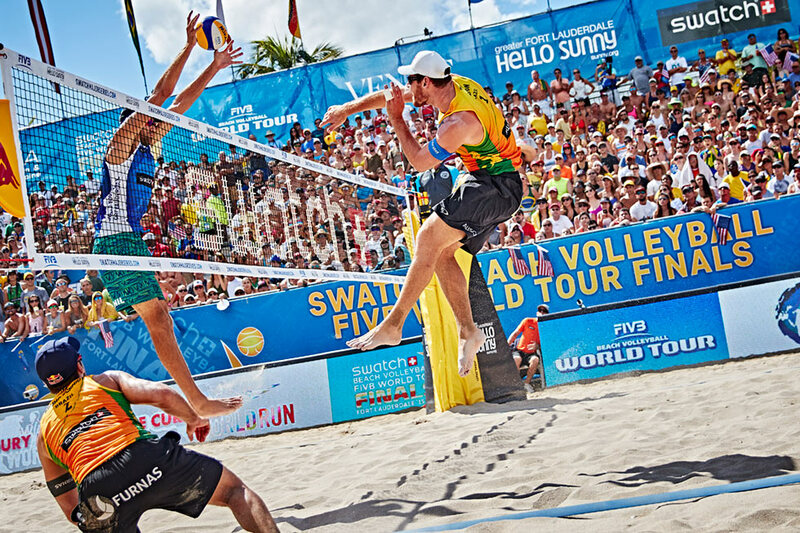 Philp Dalhausser and Nicholas Lucena of the United States compete against Alexander Brouwer and Robert Meeuwsen of the Netherlands during the Swatch Beach Volleyball FIVB World Tour Final in Fort Lauderdale, United States on October 3, 2015. 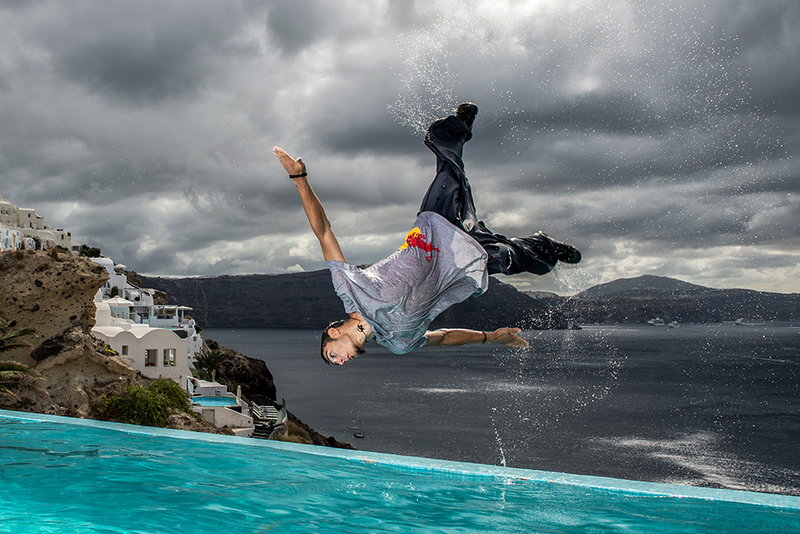 Dimitris Kirsanidis of Greece exploring the island of Santorini ahead of the Red Bull Art of Motion in Santorini, Greece on September 30, 2015. 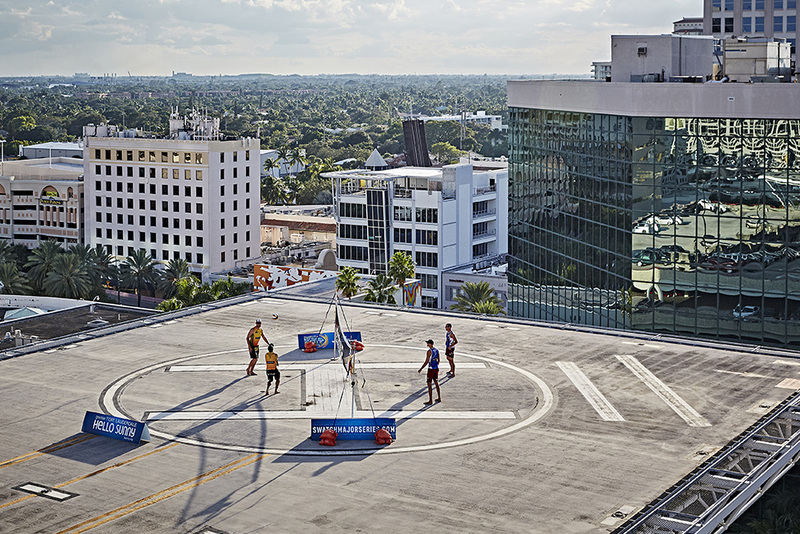 FORT LAUDERDALE // UNITED STATES // SEPTEMBER 20, 2015. 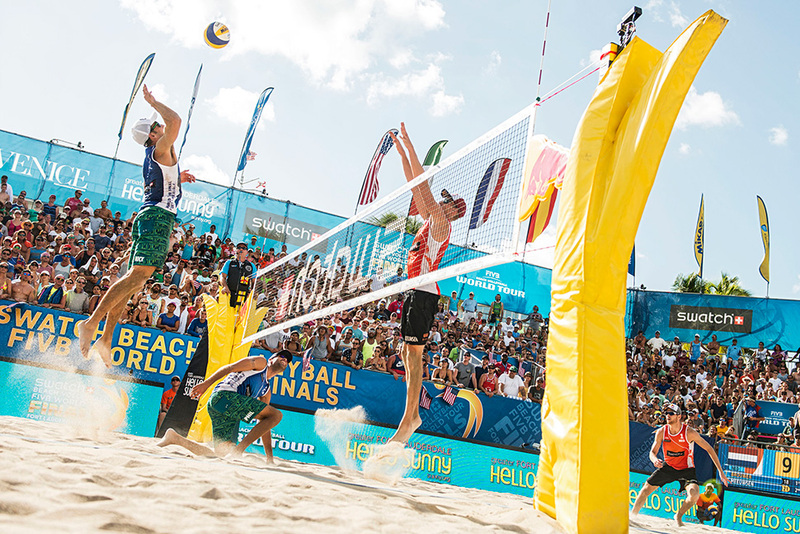 Ahead of their dream match-up in Sunday's men's final, the USA's Phil Dalhausser and Nick Lucena and reigning Brazilian World Champions Bruno and Alison took their rivalry to a whole other level in downtown Fort Lauderdale. 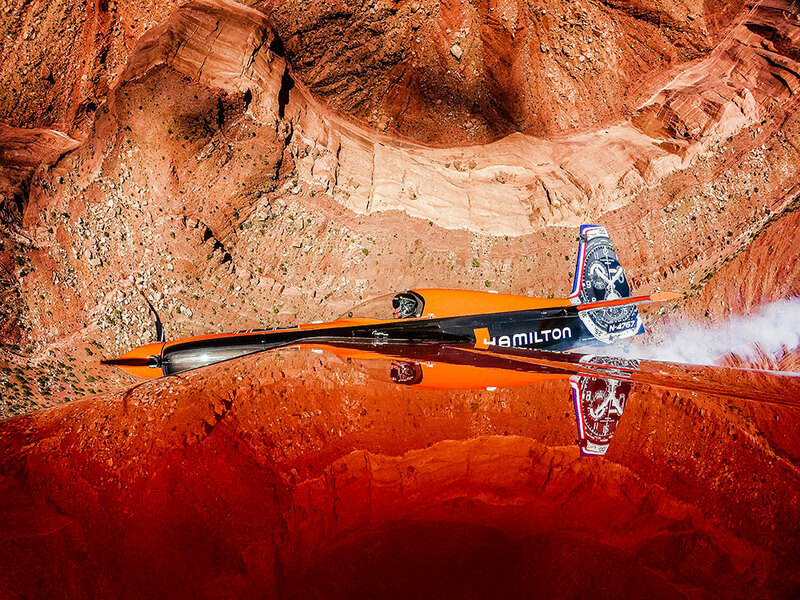 Nicolas Ivanoff of France flies over the Monument Valley Navajo Tribal Park in Utah, United States on September 29, 2015. 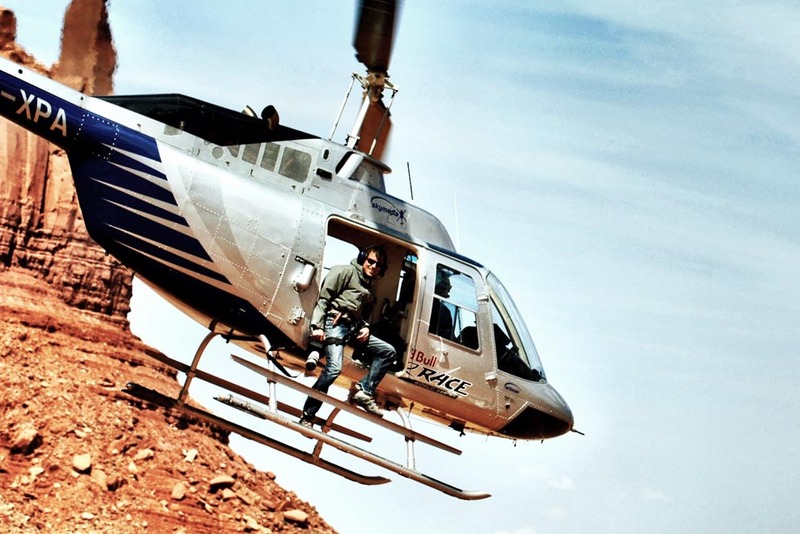 Nicolas Ivanoff of France and Matthias Dolderer of Germany fly over the Monument Valley Navajo Tribal Park in Utah, United States on September 29, 2015. 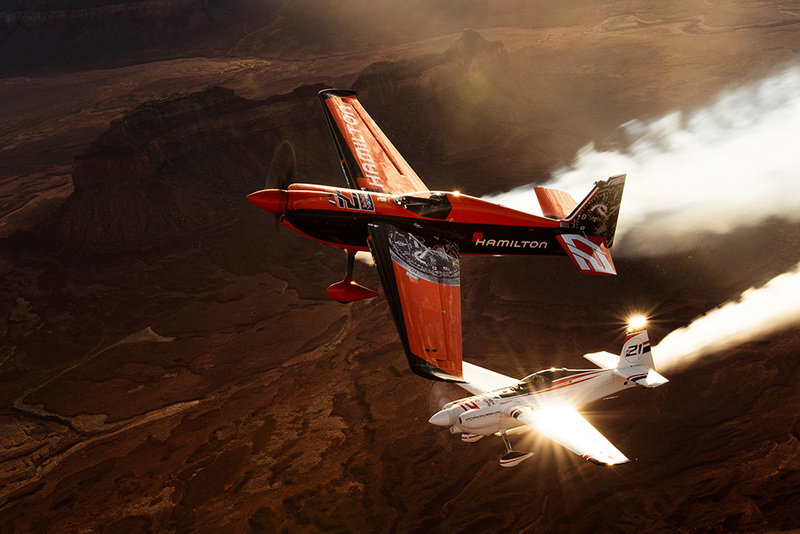 The pilots are ferrying their race planes to the season final of the Red Bull Air Race World Championship held in Las Veags on October 18.